There's still no official opening date set for Shanghai Disneyland (there is a vague Spring-ish/Summer-ish 2016 rumor floating around the interwebs). 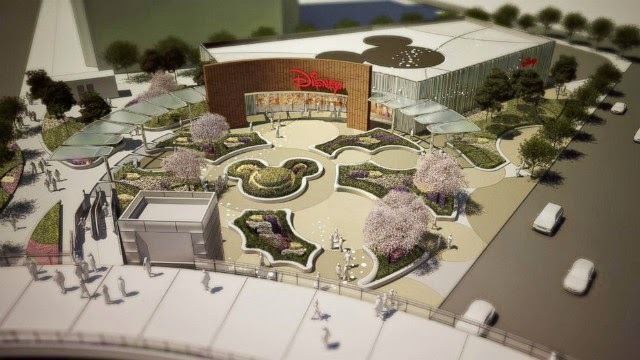 But I can say that there is something huge on the Disney radar about to drop here in Shanghai this month. In the photo I took, I was standing on the white elevated walk way you see on the bottom edge of the rendering, looking down at the courtyard. The location is amazing, it's right smack in the middle of downtown Shanghai, next to a huge mall and the Oriental Pearl Tower, a large futuristic-looking tourist magnet with amazing views. And it's just a short walk from my house! It's funny, the Disney characters are quite new to Mainland China. Adults my age did not grow up with Mickey and Minnie. Disney has had to come in and do big events to educate people about the company. And maybe the smartest thing of all, they started Disney English, which is a hugely popular children's English language school that uses the characters to teach kids both about the characters and how to speak English. Brilliant, right? So the younger generation of kids out there right now are indeed familiar with Disney. There are also some China-specific animated television shows which look very bizarre to my Western mind, but are crazy popular here with tons of merchandise everywhere you look. I suspect the store will do very well. 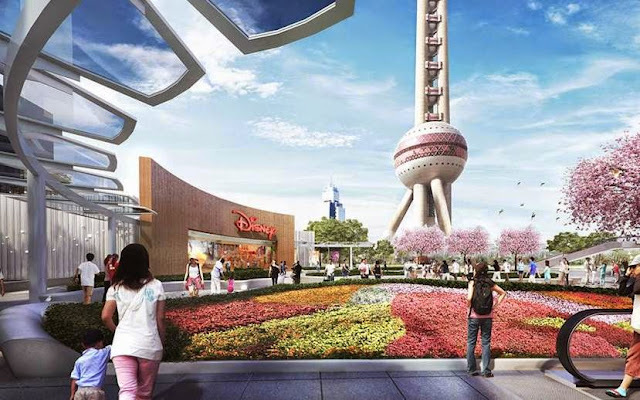 And hopefully it will whet the appetite for people hungry for more Disney so that the opening of Shanghai Disneyland will be spectacular. And sure, I'm a Disney shareholder, so of course I'd say that. But honestly, when you've poured three years of your life and career in to something, you want it to succeed. Can't wait!